Small pockets of Islamic State fighters have regrouped throughout parts of Iraq and Syria. Jihadists are becoming more brazen, executing coordinated attacks on security services and oil fields. The Islamic State’s remaining war chest could prove to be sufficient for the group to fund its resurgence. Engineering a comeback is part of the group’s current strategy of resting, rearming, and recuperating. With the renewed vigor of the so-called Islamic State in areas north and west of Baghdad, a residual American military presence in Iraq is necessary to keep the terrorist group from staging a comeback in areas previously considered ‘liberated.’ What is quietly happening across parts of Iraq is less of a resurgence, and more a resurfacing, of the Islamic State. Many of these fighters never actually left, but merely scattered temporarily, having melted away into the population only to return. Intent on forming clandestine cells of fighters to cobble together a covert resistance, militants linked to the Islamic State (IS) have husbanded resources and launched sporadic attacks against local security services. Reporting from early 2018 indicated that a group of several hundred Islamic State fighters known as the ‘White Flags’ has sought safe haven and sanctuary in the Hamreen Mountains of northern Iraq. More broadly, the Defense Department recently estimated there could be more than 30,000 ISIS fighters remaining across Iraq and Syria combined. In the last few months, Islamic State fighters throughout parts of Kirkuk have manned checkpoints to ambush Iraqi security forces operating in the area. They have also sabotaged oil tankers and targeted Shi’a civilians en route to religious pilgrimages. In Diayala and Salahaddin, IS sleeper cells have been conducting surveillance and reconnaissance missions to gather intelligence which can be passed along to an expanding network of operatives. The Islamic State’s comeback has not been limited strictly to Iraq, however. Across the border in Syria, pockets of fighters have been active around Hajin, Abu Kamal, Dashisha, Mayadin, and the outskirts of Deir Ezzour, where fighters recently launched an assault against the Al-Umar oil field in northeastern Syria, only to be repelled by American-backed forces from the Syrian Democratic Forces (SDF). Moreover, the group is well-positioned financially to survive, adapt, and reorganize. While its territorial control has declined, the Islamic State still retains vast cash reserves—its surviving leadership reportedly smuggled as much as $400 million out of Iraq and Syria and used it to invest in legitimate businesses throughout the region. Without a sprawling bureaucracy to manage, IS needs far less money to operate effectively as an underground terrorist group. The Islamic State’s funding model and diversified portfolio—to include an ability to raise money through myriad criminal activities— have made it the wealthiest insurgent group in history and provide it with the financial resources to sustain the organization for years to come. At its peak, IS exerted near full control over major cities, towns and villages in Iraq and Syria, affording its fighters with widespread freedom of movement to prepare for the ‘day after’ the Caliphate. Accordingly, as part of this preparation, IS strategically positioned resources in territorial strongholds where they enjoyed high levels of popular support amongst the population. This included vast quantities of cash buried under sand berms, and weapons, ammunition, and bomb-making materials hidden within man-made networks of tunnels. Since declaring the Caliphate in 2014, IS leadership recognized it would ultimately return to these areas to re-instigate guerilla warfare. Even where Iraqi Security Forces have pushed out the Islamic State from nearly all of the territory it once controlled in Iraq, these forces have done so with the backing of the U.S. military and its Coalition allies. 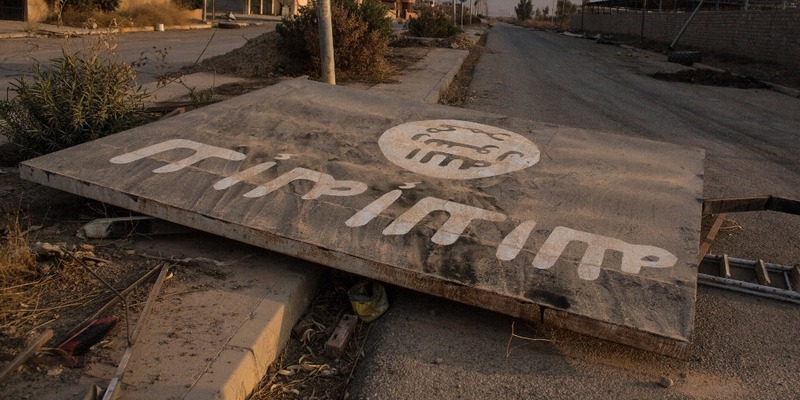 The fight against the Islamic State is a generational struggle. 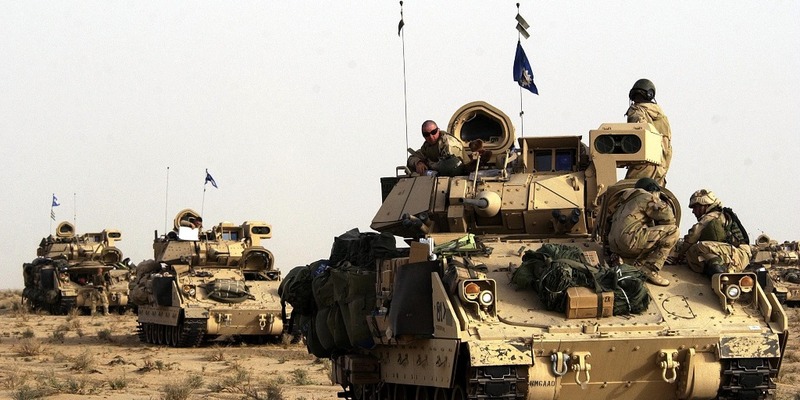 As they make clear in their official statements, the group’s remaining leaders are convinced that the United States will soon withdraw the rest of its troops. The Trump administration has wavered on whether to keep troops in Syria, with the President remarking in April that ‘I want to get out,’ before announcing an about-face last month to keep an American military presence in Syria ‘indefinitely.’ These mixed signals can be confusing and sap the morale of America’s most important allies in the anti-Islamic State fight. In the coming weeks, the U.S.-backed SDF will wage an all-out offensive against the remaining pockets of Islamic State fighters in northeastern Syria. 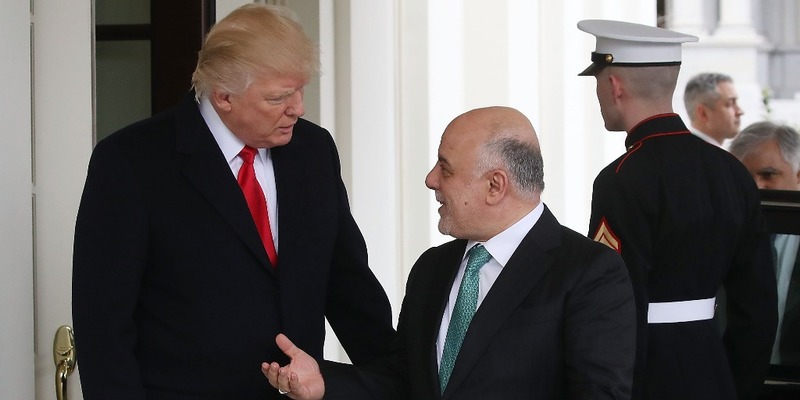 Still, without a clear strategy and an enduring commitment to defeating IS, the group will be able to adapt and evolve, once again posing a threat to the stability of Iraq, Syria and the region as a whole. Are U.S. Troops in Iraq Staying or Going? Depends Who You Ask.